Warren Buffett will serve as ringmaster for 40,000 shareholders on Saturday when his conglomerate Berkshire Hathaway holds its annual meeting in Omaha. Did you know just 12 "berkers" attended @WarrenBuffett 's annual meeting in 1981? @BeckyQuick is in #omaha for $BRK .A this weekend! In #BRK2014 movie, Buffett and Jeremy Piven are doing an "Entourage" parody. In #BRK2014 film, a replay of a Saturday Night Live skit c.2006 with brokerage that's totally honest about its evilness. Buffett and Paul Anka do a duet on "My Way" for shareholders film at #BRK2014 , with their own lyrics. #BRK2014 : BNSF Chairman Matthew Rose comments: "The (shale) oil came along faster than we anticipated and we're working at catching up." Buffett on Munger: "Charlie is my canary in a coal mine. Charlie turned 90, and he's doing marvelously in middle age." Buffett at #BRK2014 hopes next BRK leader finds someone like Munger to work with, but no discussion about succession for him. 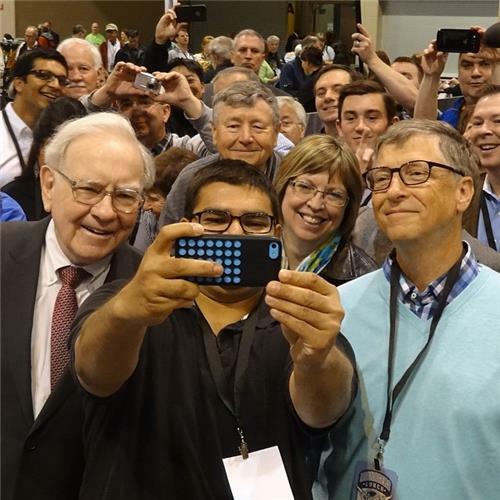 @warrenbuffett at #BRK2014 on what would you put your total net worth into other than BRK: great question but you're not getting an answer. 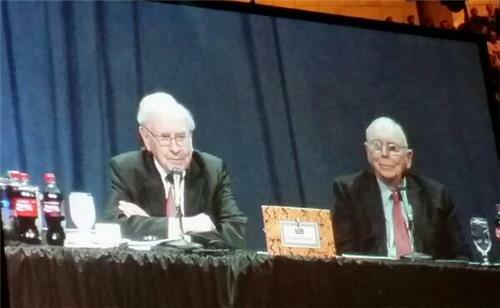 @warrenbuffett at #BRK2014 on CEO pay: "It's only human" for CEO's to say they're worth more than the other guy. #BRK2014 @CNBC Charlie Munger has not pontificated much at all so far here at halftime in the annual meeting. 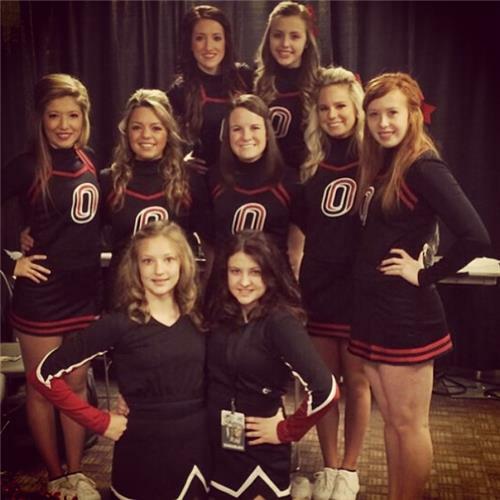 I'm missing that!! 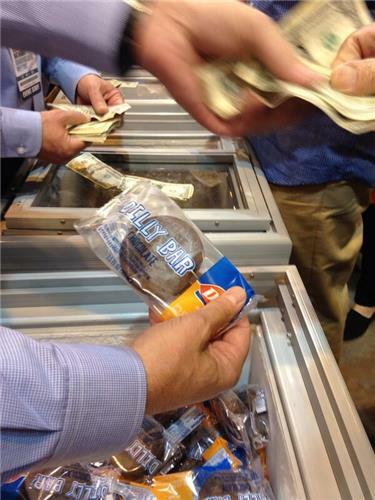 Buffett at #BRK2014 : Updates his 10-yr bet on S&P 500 fund vs hedge funds. After 6 yrs he's winning. "Getting more fun to report results." 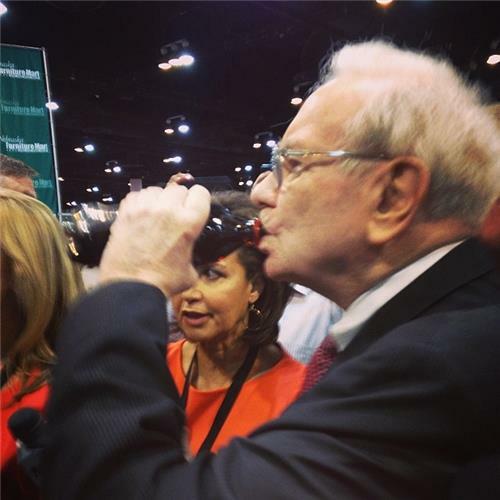 Buffett at #BRK2014 . I'll make mistakes in the future but nothing that will cause company "real anguish"
#BRK2014 : Buffett: "All businesses are subject to change. Small changes are much harder to detect. You have to be alert on what's going on." 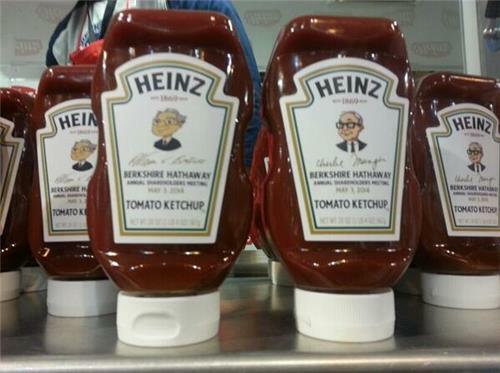 Munger at #BRK2014 : We're good at "scrambling out of our mistakes" like buying mill co. Berkshire Hathaway to begin with. Buffett at #BRK2014 : My grandfather's one grocery store eventually failed because he thought (hoped) age of chain stores had ended. 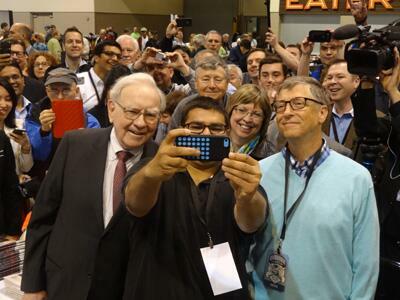 Buffett at #BRK2014 : I don't know how to value any change that results from self-driving cars. #BRK2014 : Buffett: "We've never turned down chance to make significant acquisition outside US because of feeling we'd like to invest in US." #BRK2014 : Buffett: "We have heard from sellers outside the US over last five years, but none that really made sense. But we'll keep trying.